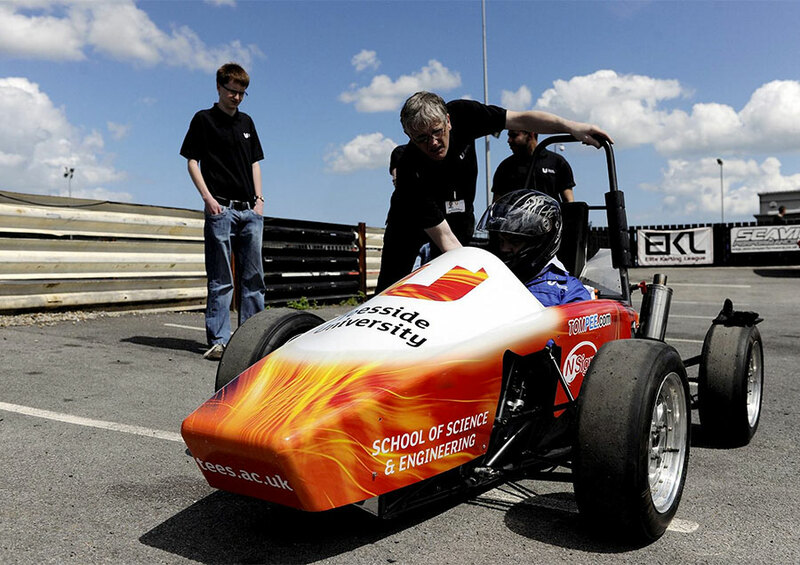 Teesside University offers a solid base of engineering knowledge and skills for a wide range of industries such as aerospace, robotics, automotive, marine, renewable energy, oil and gas, and process industries. 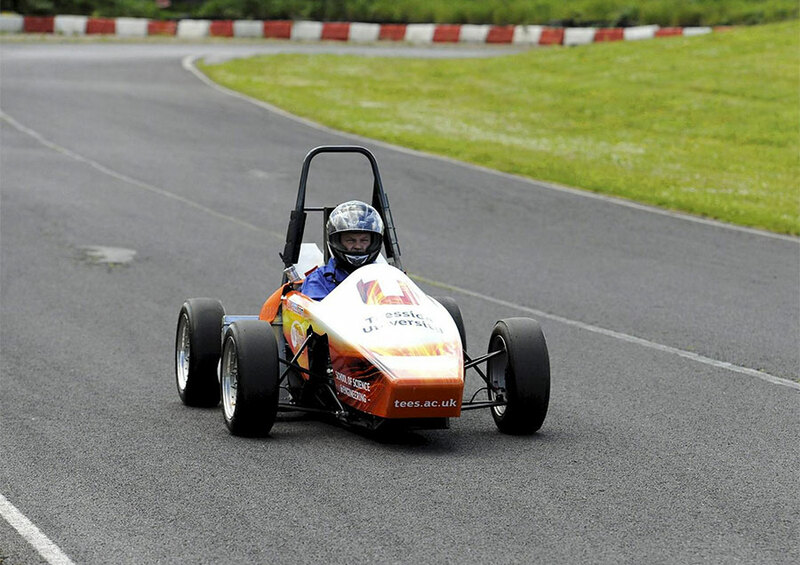 We have exceptional links with local engineering companies, allowing you to enhance your experience and employability. 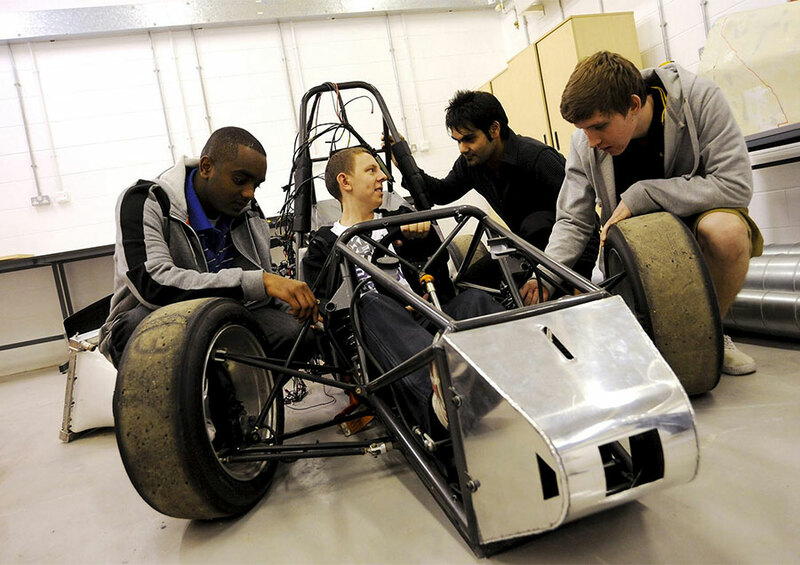 Teesside is ranked 11th out of 67 institutions in the Guardian University Guide 2019 for Engineering: Mechanical. 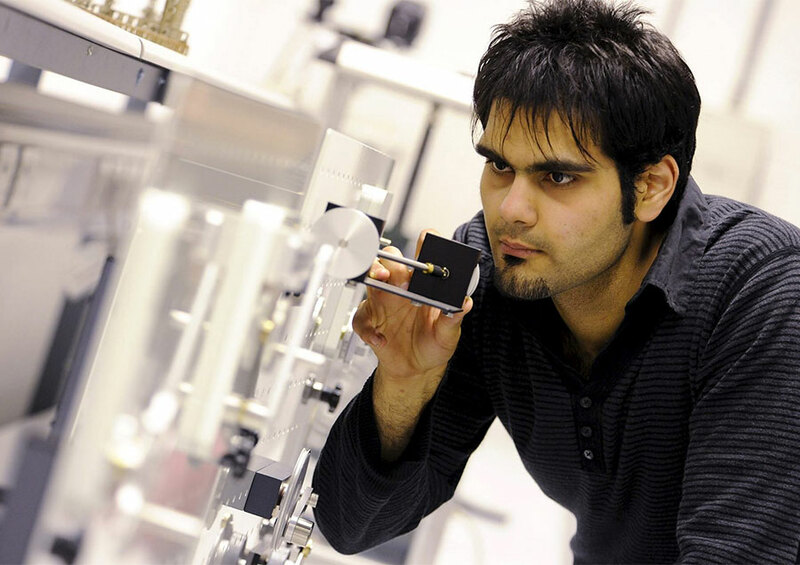 Our degree is accredited by the Institution of Mechanical Engineers under licence from the UK regulator, the Engineering Council. Accreditation is a mark of assurance that the degree meets the standards set by the Engineering Council in the UK Standard for Professional Engineering Competence (UK-SPEC). This MEng fully meets the exemplifying academic benchmark requirements, for registration as a Chartered Engineer (CEng). Some employers recruit preferentially from accredited degrees, and an accredited degree is likely to be recognised by other countries that are signatories to international accords. Years 1, 2 and 3 of the MEng incorporate many of the modules on the BEng, but you study a wider range of modules, covering technical subject areas as well as developing management, leadership and entrepreneurship skills. There are significant practical hands-on elements, including group and individual projects. This module introduces common types of structure used in engineering, assesses the types of loads they must resist and provides you with the analytical skills necessary to design the components that make up the structure. Specific areas of study include: basic concepts of force, stress and strain; properties of materials and sections; analysis of frames, beams and columns; equilibrium conditions and statical determinacy; beam bending movement, shear force and deflection; and lightweight cables. Lectures will introduce each major topic on the module with tutorials used to practise calculations. Laboratory practicals are used to investigate the properties of construction materials and develop a deeper understanding of structural theory. The module is assessed by in-course assignment and an examination, comprising calculations and short answer questions on the module indicative content. You are introduced to the concepts of engineering thermodynamics and heat transfer. You look at the transfer of heat, energy for solids, liquids and gases. You explore the various mechanisms for this heat transfer, quantify these mechanisms and apply them to industrially important equipment, particularly heat exchangers. At the end of the course you will be able to design and analyse heat exchanger systems for a given duty. You look at the engineering thermodynamic properties of pure working fluids. You define, develop and apply a series of thermodynamics principles to solve engineering related problems of increasing difficulty. You explore derivation of the first and second laws of thermodynamic and apply it to real-world analysis of a range of heat-power cycles. You attend a series of preparatory lectures and tutorials. You look at the fundamental thermodynamics and operational characteristics of a range of engines and their components including gas turbines, jet engines, turbofans, turboshaft engines, ramjets, scramjets and rockets (which are used in aerospace applications) and torque power producing gas turbines (used in industrial and marine applications). You explore the fundamental thermodynamics of engine operation, the equation for thrust calculations, Mach number, stagnation properties, shock waves, steady one dimensional flow, and analyses of flows through convergent and convergent-divergent nozzles. You learn how to calculate the performance and efficiencies of the engine and its components. Components include burners and afterburners, compressors, turbine and nozzles. You also look at the calculation and analyses of flows through compressor and turbine blading stages, and fundamentals of rocket propulsion, trajectory analysis, and performance of solid and liquid rocket engines. You attend a series of keynote lectures as well as problem-solving tutorials and practical investigations. This is a group project module which is part of the group project theme running through the engineering programmes. This module will provide you with the opportunity to work in teams in order to solve industrially relevant design problems. In the course of this module, you will develop employability skills such as project management, presentation of work, research and commercial awareness, all of which support problem solving in a technical context. You learn to use theoretical principles in the practice of creating an engineered design item, through group working activities. A problem based learning approach is adopted and where appropriate, supporting lectures/ seminars will be delivered to include technical knowledge or skills development. You are assessed through two in-course assignments. Mechanics of Materials is a branch of mechanics that studies the relationships between the external loads applied to a deformable body and the intensity of internal forces acting within the body. The subject also involves calculating the deformations of the body, and it provided a study of the body’s stability when the body is subjected to external loadings. This module examines the essential theories and fundamental principles of mechanics of materials, and develops your knowledge, skills, and ability to apply them in mechanical analysis and design. In this module, you develop your skills and knowledge in applying 3-D solid modelling and surface modelling to product design, using industry standard software. You gain a thorough understanding of computer modeling, and how to apply these skills to design engineering components and products. You model parts with flat and cylindrical type surfaces, as well as those with more complex curved surfaces. The ability to obtain the mass and other properties of models and create orthographic drawings from 3D models will be covered. You gain a thorough understanding of both static and dynamic hierarchical assemblies and their value to industry, and learn how to produce ‘Bill of Materials’, undertake clearance and interference checks on mating parts, and Tolerance Analysis. You acquire the ability to animate dynamic assemblies; you create joints and mechanisms to solve for kinematic motions, and you learn how to structure the models effectively and modify them as appropriate. This module explores the advanced theory and the principles of the mechanics of materials, and applies them to the analysis of realistic engineering problems. Specific areas of study include stress concentrations, inelastic deformation and residual stress under axial loading, torsion and bending, transverse shear, failure theory, design of beams and shafts, deflection of beams and shafts, design of columns, thick-walled cylinders and interference fits. You develop a unifying, mathematically rigorous approach to mechanics. Through (Cartesian) tensors, you understand a universal framework of mechanical principles, which applies to all materials and integrates classical treatment of fluids and solids with more recent developments in rheology. This theoretical development is put into context through extensive use of examples drawn from “real world” applications. You gain practical experience of commercially available finite element packages. The application of the method is demonstrated using a number of case studies, and you are encouraged to use the technique as an extension of your standard text books in solving design and manufacturing problems. Manufacturing technology is of paramount importance, as no manufacturing industry can exist without it. 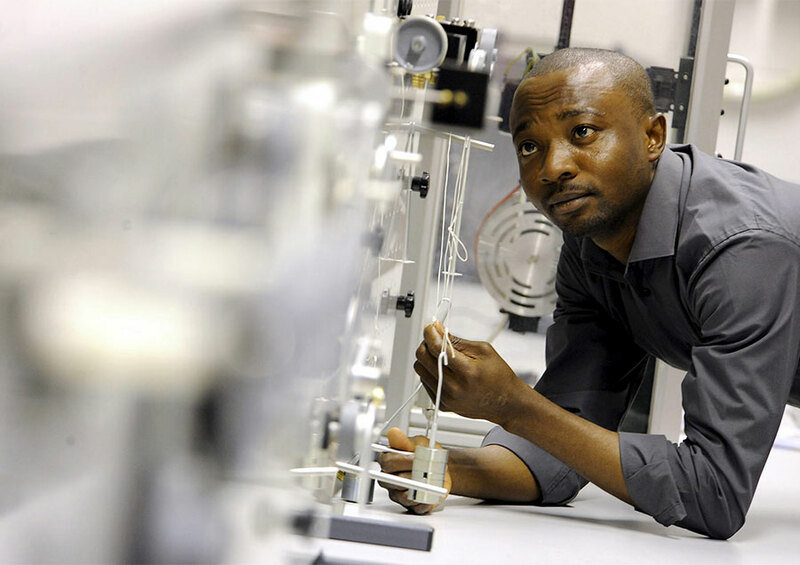 Modern manufacturing technology entails a diverse range of disciplines and their interaction including Computer Aided Design and Manufacture, Materials, Processes, and Manufacturing Automation. 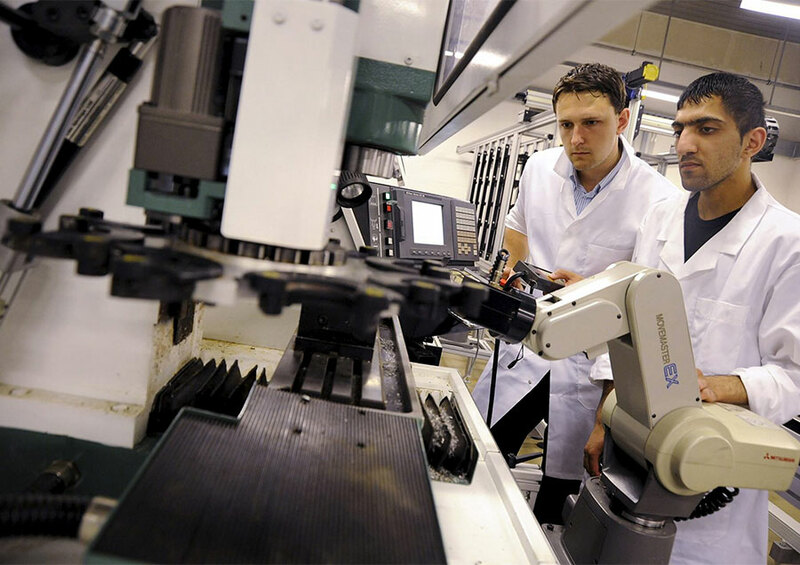 This module considers typical hardware and software involved with automated machinery and production processes: showing how machines can be integrated into flexible cells and flexible manufacturing systems and, when linked with appropriate production management software, into computer integrated manufacturing systems. You extend your knowledge and skills within the context of the manufacturing industries, and gain practical experience in the specification, design, and build of an automated manufacturing system You are also introduced to the fundamental concepts for production, utilising lean manufacturing principles and practices and a detailed investigation of a topic of current engineering such as: computer-aided manufacturing, special topics in robotics, and lean/agile manufacturing. You must attend a range of lectures, tutorials and hands-on laboratory and practical sessions. You are also involved in group project work and, during Years 3 and 4, you undertake a substantial research-based individual project. The programme provides a number of contact teaching and assessment hours (lectures, tutorials, laboratory work, projects, examinations) and you are expected to supplement this with self study, for example to review lecture notes and slides, read around the material using recommended texts, prepare coursework and assignments, work on projects and revise for assessments. Each year of full-time study consists of modules totalling 120 credits. Each unit of credit corresponds to 10 hours of learning and assessment (contact hours plus self-study hours). This means that during one year of full-time study you can expect to have 1,200 hours of learning and assessment. One module in each of your first three years of study involves a compulsory one-week block delivery period. This intensive problem-solving week, provides you with an opportunity to focus your attention on particular problems and enhance your team-working and employability skills. UCAS tariff points: 112-128 UCAS tariff points from any combination of recognised Level 3 qualifications including mathematics. The preferred second subject is physics, but alternative science, technology and engineering subjects are also acceptable. Our School of Science, Engineering & Design produces graduates with the problem-solving and leadership skills necessary to forge successful careers. By taking a work placement year you gain experience favoured by graduate recruiters and develop your technical skills. You also obtain the transferable skills required in any professional environment. Transferable skills include communication, negotiation, teamwork, leadership, organisation, confidence, self-reliance, problem-solving, being able to work under pressure, and commercial awareness. We encourage and support you in your search and application for a work placement. If you are unable to secure a work placement with an employer, then you simply continue on a course without the work placement. 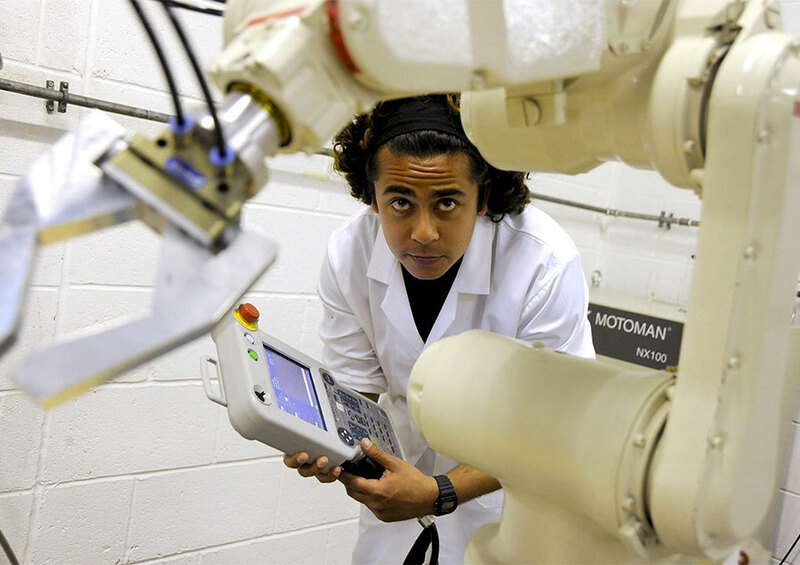 Graduate mechanical engineers can seek employment in almost every sector of industry, including: automotive, aerospace, manufacturing, marine, medical, rail, power, processing, chemical, oil and gas, and food production industries. •	Kris Rickman-Gilyeat gained a placement with Ardmore Criag and Hiley Engineering, and later joined Tata Steel. 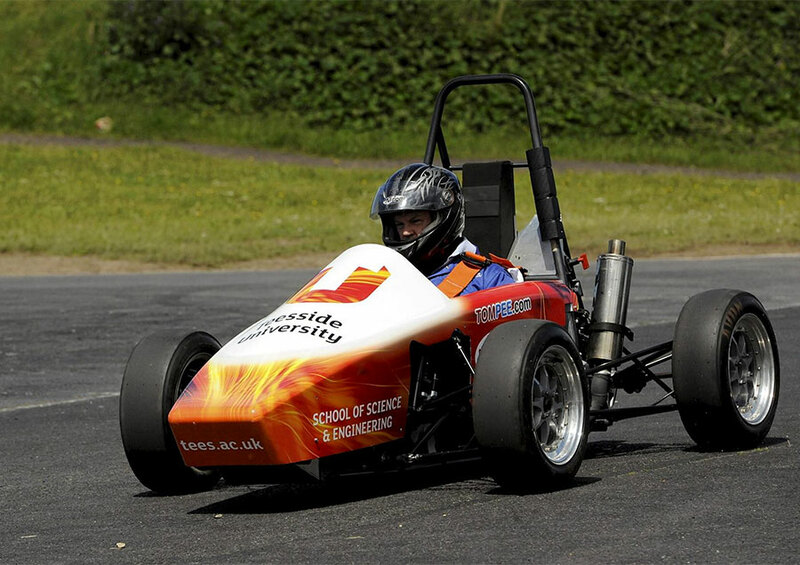 Watch mechanical engineering students from Teesside University get a taste of life in the fast lane as they put a race car they have built through its paces. 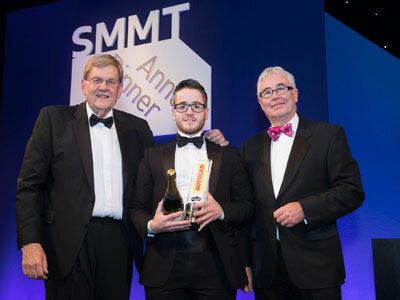 A Teesside University graduate’s innovative suggestion for a hybrid generator exhaust system to enhance efficiency in hybrid cars has been recognised in a national competition.